"Tranmission error" Ahahaha, I like it. Love the image choice for Tinkle. Woaw, defending with swarm on 3 different place so early. I'm impressed. Action is such a good player now, damn. Been a big fan of him for a long time and he just keeps getting better. I wonder how many free wins Protoss will get because of Block Chain hmmm... or maybe free Terran losses I should say. Well, I'll put that one in the "failed drop" category. We're witnessing a slow death here. Is it really dark swarm the best spell in the game? I thought consume was way the best spell/ability since it enables "free" other spells. I am not saying dark swarm isn´t good but it would be like half as powerful without consume and the other way around is true, any other spellcaster would be at least twice as good with consume. dark swarm pretty much negates the entire terran's arsenal of attacks. 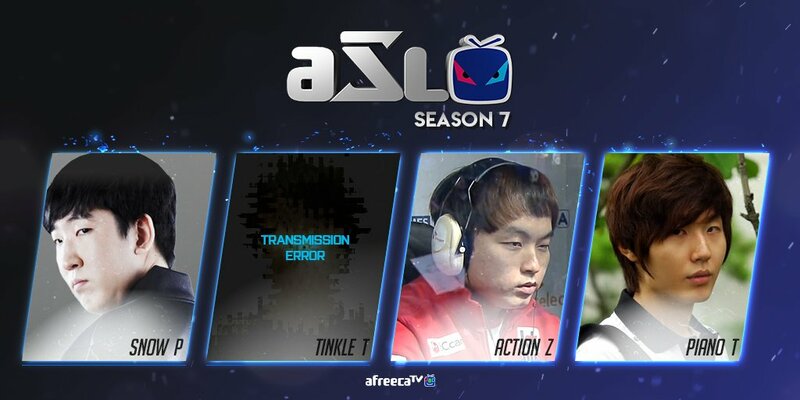 Not sure about tinkle ... the guy has excellent apm but he relys on typical amateur risky harassing style do or die..this is not the way on the pro-scene. Maybe he will be forced to a more solid playstyle in TvT and will show us some potential. on a map like blockchain he had to do such a style anyway, you are just asking for death trying to play standard there. i dont agree it was amateurishy either, theres a good amount of planning behind those harass its just that snow deflect them all well enough and he just fall behind. i have seen his ladder games through other players stream and he can definitely play a safe standard style if needed to. piano has poor tvt sense beyond knowing build orders its his best chance of taking a win among the 3 expros. Seems like people forget quickly about transistor ... or the P graveyard alias ... Camelot!!! Maps should ideally not favour anyone? Okay that's not really a particularly easy thing to do and maps will almost always swing one way or another but to be SUPER favoured in one direction to the point where it's virtually unwinnable for a race is pretty unacceptable or at least it should be for high level tournament play. Especially since it's the first map in the pool. This reaver did so much damage. Borrowing vs reavers is a nice move though.